The Christmas season is here and there are so many different ways to get more into holiday spirit! 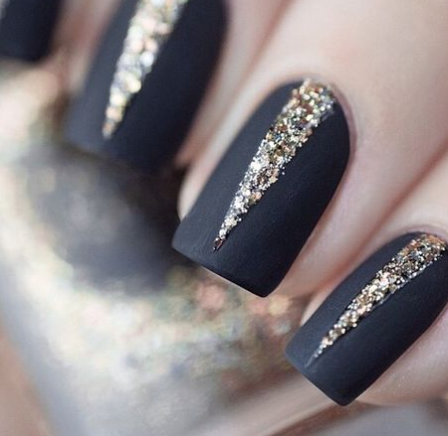 This year, it’s all about the sparkle so why not glam yourself from head to toe – including your nails! 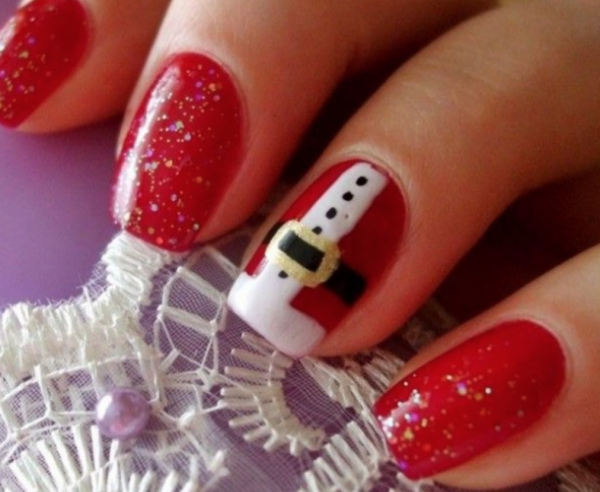 Here are 15 cute and fun holiday inspired nails to get you more into the holiday season! These nails match the cozy and fun part of the holiday season. The pattern has the look of a knit sweater texture and this look can be done with a thin tip nail polish brush and your favourite holiday colour. This quick and easy tutorial for the holiday season will definitely make your holiday brighter. 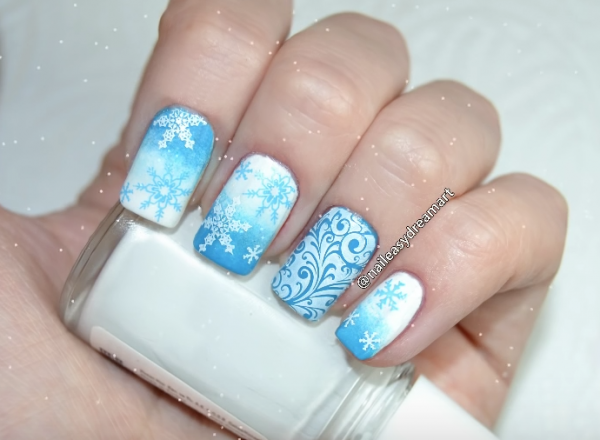 This snowflake design is a very subtle but detailed holiday inspired style! When I think of the holiday season, sparkles and glitter are some of the first things that come to my mind.Jjust add some glitter polish to your nails to make them more festive. The candy of the season! 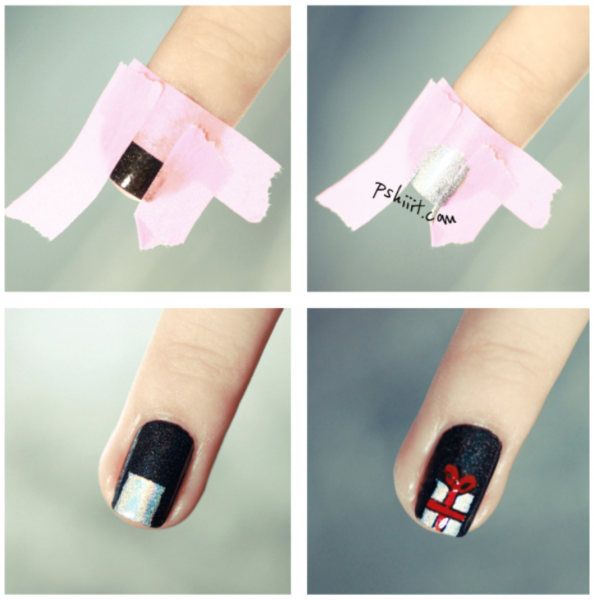 This nail art design looks like you put a lot of effort into your nails when all you used was strips of tape. This tutorial shows you how to complete this gorgeous look with just a few tools. 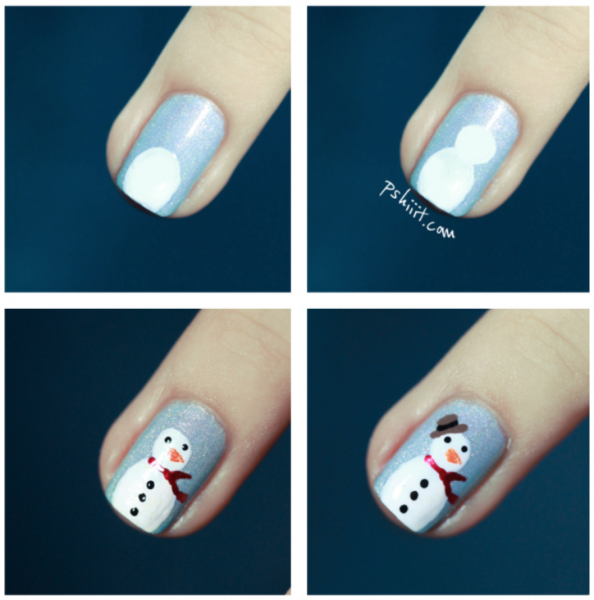 Snowmen are the perfect ChriSnowman stmas inspired nails because they remind everyone of the winter season. This nail DIY gives you the chance to decorate not just one, but 10 Christmas trees this holiday season! 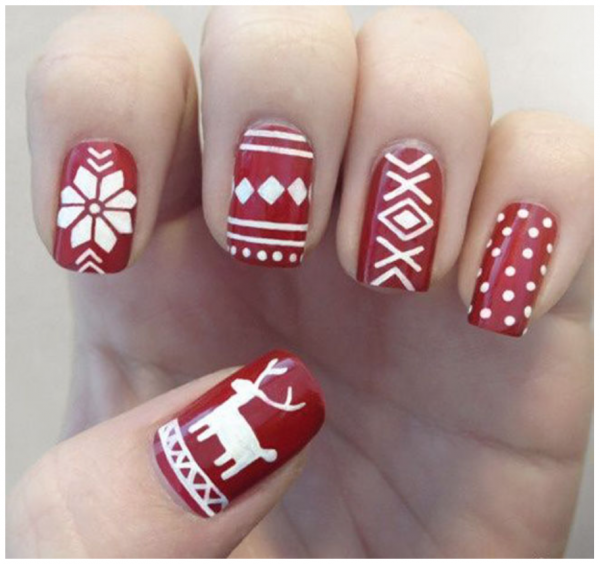 You can get creative this season by turning your nails into little Christmas gifts! Changing up the colour of the wrapping paper will give off a fun look with this DIY. 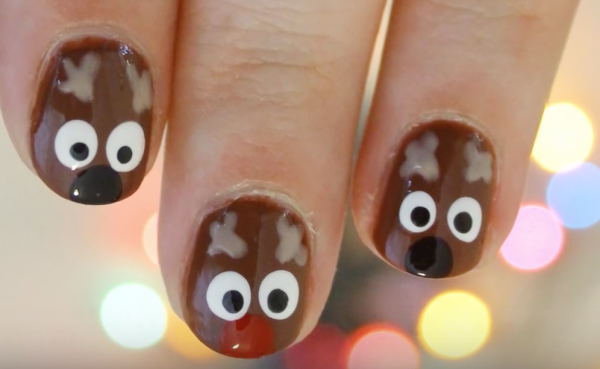 These reindeer nails are adorable! This simple tutorial will walk you through the steps of making this nail DIY come to life! 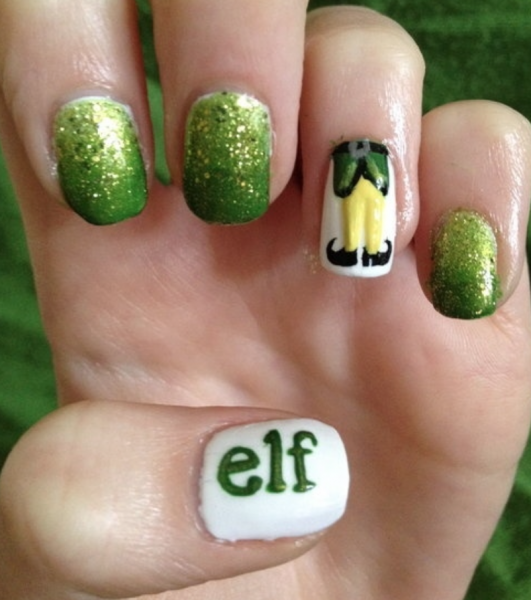 If you’re a fan of the popular Christmas movie ELF this nail DIY is perfect for you! Everyone knows that Santa rocks his signature red suit every year, now you can too by creating this nail DIY this holiday season. 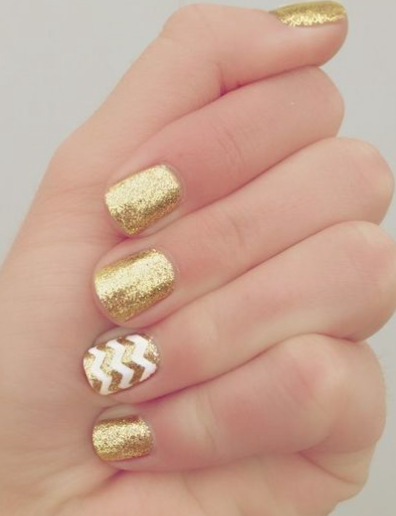 Gold is a great holiday nail colour on its own, or you can try dressing it up more with some fun designs! 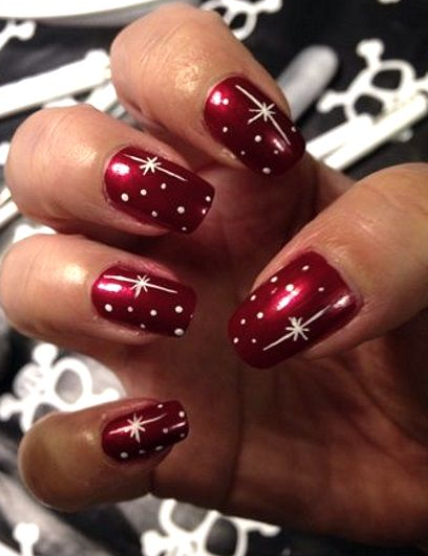 This is a simple and pretty nail design; the Christmas stars and the red nails will really make your nails pop for this holiday season. 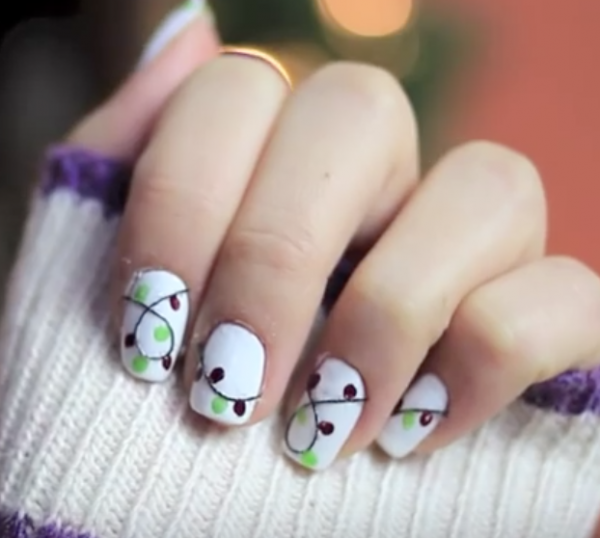 This isn’t just any basic snowman nail design; this well-known Disney character will for sure be a hit this holiday season. 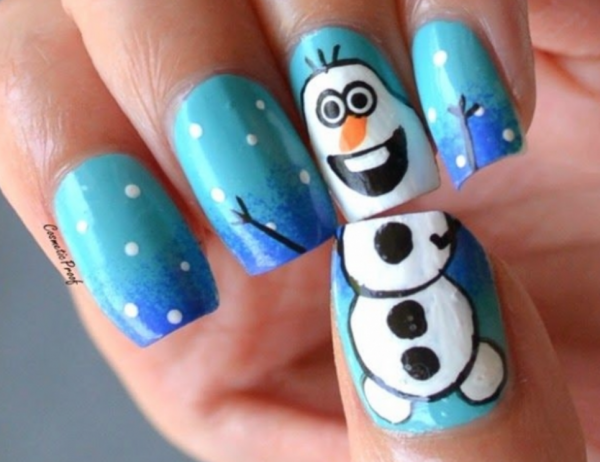 The Olaf nail design is fun, simple and very cute, you should totally try this nail DIY.